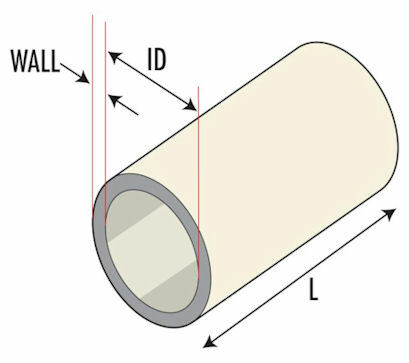 Manufactured from OSM grade PVC, MPM Par-O-Cut ® Cable Markers are economical to use. Siegrist Orel's range of MPM Par-O-Cut ® Cable Markers are manufactured to meet Military and British Standards. 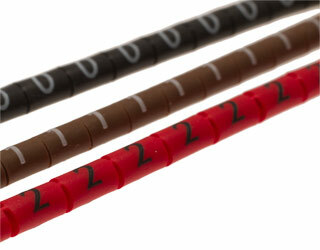 MPM Par-O-Cut ® Cable Markers are usually stretch fitted using a sleeving tool. Radial stretch while fitting a 2.5x nominal bore when fitted up to 1.5x nominal bore. MPM Par-O-Cut ® Cable Markers, are easy to use and particularly suitable where overall cable diameters have to be kept to a minimum.